Who Should The Dodgers Start at 3B? 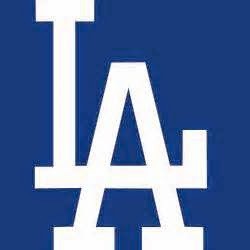 The Los Angeles Dodgers are 22-10 and currently sit atop the NL West. They don't have many question marks, even with Yasiel Puig and Carl Crawford sidelinded with injuries, as Andre Ethier and Scott Van Slyke are filling in nicely. It also helps that Adrian Gonzalez is probably the front runner as the NL MVP early on and Zack Greinke is 5-0. However manager Don Mattingly publicly said, the team does not have a set starter for third base. 36 year old Juan Uribe started the season as the Dodgers starter at third base but he has struggled, hitting .257 with a home run and 6 RBI. At his age, Uribe is probably best suited as a bench player. So it's really between Justin Turner and Alex Guerrero. Turner has been great during his time with the Dodgers. Last season Turner hit .340 with 21 doubles, 7 home runs, 43 RBI and a .404 OBP. Turner hasn't missed a beat this year, hitting .309 with 5 home runs and 13 RBI in just 55 at-bats. Turner against lefties is just 1-7 and is 16-48 (.333 avg) with all 5 home runs against right handed pitching. Then you have Alex Guerrero, who has 4 doubles, 6 home runs and 16 RBI in just 51 at-bats. Guerrero has been crushing lefties with 6 hits in 14 at-bats with a double and 2 home runs. Against right handed pitching Guerrero is hitting .333, going 12 for 36 with 3 doubles and 4 home runs. Guerrero has the highest slugging percentage of all batters in the MLB with at least 50 at-bats. He is slugging .784. Nelson Cruz is second with a .754 slugging and he has hit 15 home runs already. If you are Don Mattingly, who are you giving the starts to? Justin Turner or Alex Guerrero?